In an electronic era of GPS, smartphones and satellite tracking, a small Colorado company has built a growing empire based on a timeless product: the geographic map! It was around 2010 when I first saw a Butler Maps map in a Californian store. I remember thinking: good luck with that! If you’re lucky, you’ll last a year and then the low cost of GPS and mobile apps will eat you alive. Obviously, my starting point was a series of incorrect assumptions: not everyone is “technologically advanced”, there is not always a smartphone signal available, not everyone wants to spend a small fortune on a GPS for a motorcycle and finally, there are still many people who like to read, touch and fold a beautiful map. There is obviously a great truth, which is also the slogan of Butler Maps: Your GPS knows the road, but we know the most beautiful roads. That’s it after all. Simply put, every GPS can take you from point A to point B but with a specific and dedicated map you’ll never risk missing a great route. The guys from Butler Maps (www.butlermaps.com) do just that: they produce maps dedicated to motorcyclists, for travelling on the road and also off-road. Their maps are waterproof, easy to fold and contain a wealth of interesting itineraries. Each map is dedicated to a state or a specific region of the USA and now, they also cover practically every location in the State of Mississippi that is worth a visit. In addition, there are maps available featuring “mythical” areas such as the Southern Appalachians while other areas have already been partially traced but not yet completed for example New England and New York State. 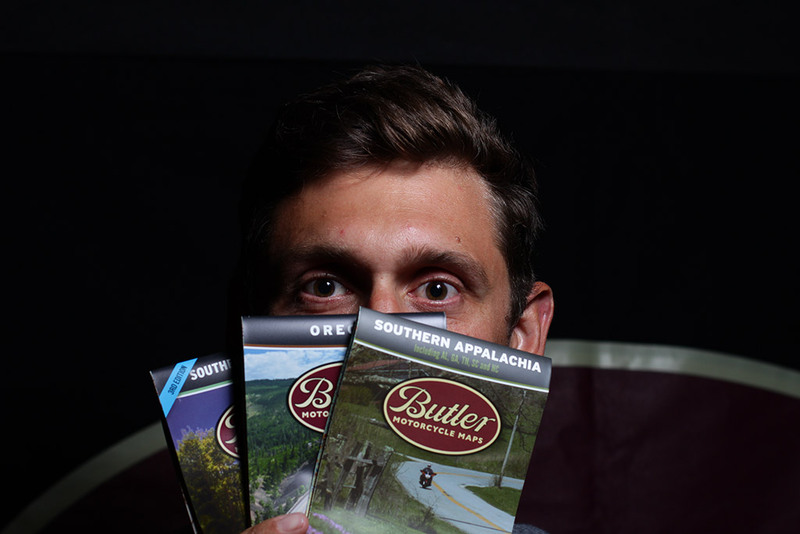 At a trade show in the US we had the opportunity to interview Justin Bradshaw, one of the founding members of Butler Maps and talking to him gave us a very interesting view of the company. In an increasingly electronic world you have managed to create a reality based on something that has existed for hundreds of years, tell me the story of Butler Maps. How does the mapping process work? Do you select an area and then ride there by motorcycle? How much time elapses between the moment you locate an area and the associated map being ready for publication? Your maps are waterproof and resistant to tearing, how did you achieve this?